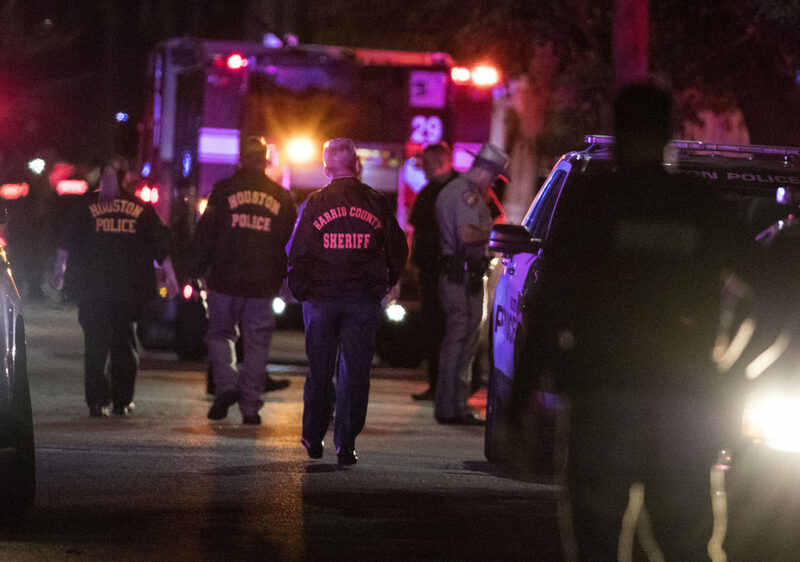 HOUSTON — An attempt to serve a search warrant at a suspected drug house quickly turned into a gunbattle that killed two suspects and injured five officers, including four who were shot, Houston’s police chief said. The suspects were killed Monday after firing at narcotics officers who were trying to enter a home on the city’s southeast side where authorities allege black tar heroin was being sold, Chief Art Acevedo said at a news conference hours after the shooting. Four of the officers were shot and a fifth suffered a knee injury. Acevedo said two officers were shot in the neck and were in critical but stable condition at a Houston hospital. “We’re hopeful that they will recover,” Acevedo said. Two other officers, including the one with an injured knee, were in good condition at the hospital Monday night. Another officer who was shot was released after being treated for a shoulder wound. Acevedo didn’t provide information about the suspects and the names of the injured officers have not been released. The chief said about a dozen officers with the Houston Police Department’s narcotics unit were attempting to serve a warrant when they forced open the home’s front door and immediately faced gunfire from one or two individuals. He said officers had received a tip from a neighbor that heroin was being sold there. “Once the officers breached the door and the gunfire began from the suspects, one of the suspects actually retreated momentarily to the back of the room and then that suspect came back and again engaged the officers in gunfire,” Acevedo said. No information has been released about how many officers returned fire. After the gunfire ended, SWAT officers using two robots to determine if the property was safe to enter found the two suspects dead.